It was 1974. 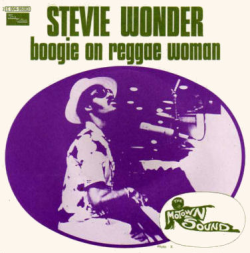 With a string of hit singles under his belt, Stevie Wonder recorded Boogie On Reggae Woman amidst some more reflective compositions for his new album, Fullfillingness’ First Finale. The song’s title is slightly misleading. This is no Trench Town rasta vibe. There is a reggae skank for reference, but underneath it’s as fundamentally funk as Superstition and just as ground breaking. For Harp Surgery fans, what makes the song especially interesting, is its infusion of a bluesy piano line and some highly expressive first-position blues harping. Let’s look more closely..